One of my goals this year is to do more things that make me happy. One of those things is photography! 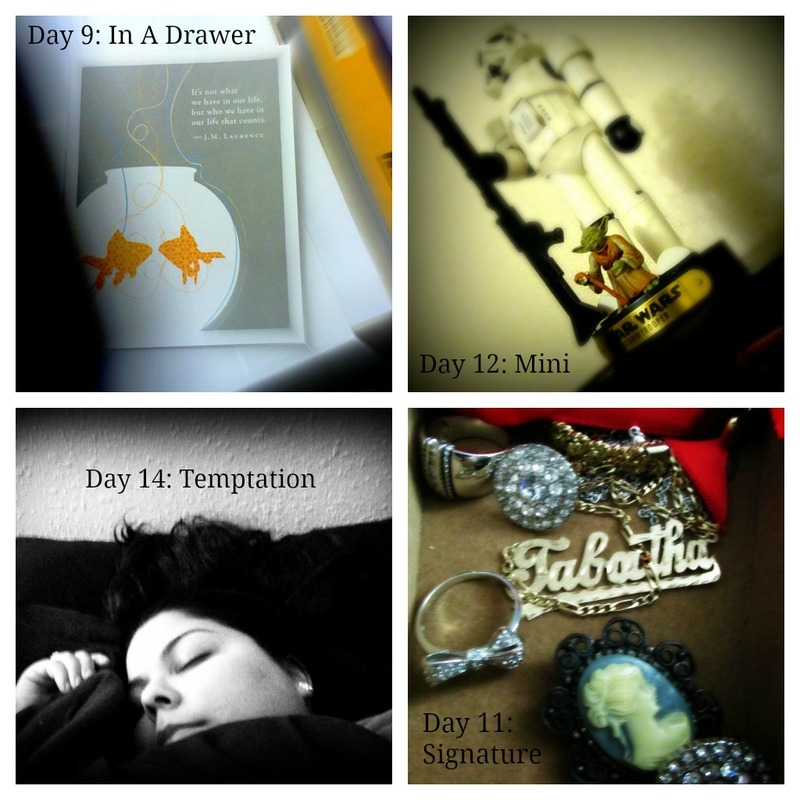 I read through a colleague’s blog that she was completing Project Life 365, an interactive photography experience. There is a word or topic each day for daily inspiration, and you take a photograph of whatever inspired you in relation to that word. It can be literal, or at random. There is a facebook group I joined to share my photos with other photography enthusiasts. You can also share your photos via Instagram or Twitter using #projectlife365. Recently on Twitter, I’ve seen many participants of #SAchat discussing the One Word Challenge in which you select one word to focus on for the year. It’s about losing the list of resolutions and focusing on one goal. In some aspects, I feel like I’m also partaking in the One Word Challenge by working on this photography project. In my first post for 2013 I talked about how my resolution for this year was to be happy, and thus I’m going to focus on doing the things that make me feel that way. To me, it’s so much more than achieving balance in my professional and personal life. For people who know me around campus, I’m always a smiling face willing to help out students and colleagues. And while I devote a lot of time to my work, I know that it’s time to focus on my well-being. However, I could be a healthy and balanced person and still not be happy. Therefore, 2013 is going to be a crazy rollercoaster of changes. I believe that it’s helpful to me to have a daily word for inspiration with Project Life 365, to sit still and observe life happening all around me. I’m noticing things I never noticed before. Often times I find myself sitting in my office staring at the clock on my computer screen, hoping that the work day is almost over. Sometimes the day just buzzes by when I have multiple drop-in appointments with students (like today’s 5 random students who showed up at my door—who’s a popular advisor? This lady!). I focus on the concept of time a lot; maybe more than I need to. Might as well be productive with my time and focus that energy to take photographs. Also, I have taken a few of my daily pictures in my office…so maybe I need to get out of the Bat Cave a little more during my lunch break. If you are interested in checking out Project Life 365 visit: http://projectlife365.com/blog/. Welcome Back, staff and students J Happy Friday!